Find support and online tools for your Ellipsis Jetpack MHS900L. Learn how to set up your Ellipsis Jetpack MHS900L. Here's how to activate your Ellipsis Jetpack MHS900L. If you've forgotten the admin password for your Ellipsis Jetpack - MHS900L, view this. This Verizon Ellipsis Jetpack MHS900L User Guide can help you get the most out of your device, like first time use, connecting to your device, settings, battery management, and advanced use. See how to charge your Verizon Jetpack MiFi 900L. An interactive map of the Home screen and buttons on your Verizon Jetpack MiFi 900L. Learn how to power on and shut down your Verizon Jetpack MiFi 900L. To configure display, sleep and power-down options for your Ellipsis Jetpack MHS900L, view this info. To insert the battery into your Verizon Ellipsis Jetpack MHS900L, view this info. To remove the battery from your Verizon Ellipsis Jetpack - MHS900L, view this info. Here's how to open Device Manager in Windows 10. Here's how to see how much data your Ellipsis Jetpack - MHS900L has used. To view the device ID (IMEI) for your Ellipsis Jetpack - MHS900L, see this info. To view the mobile number, SIM status, etc. for your Ellipsis Jetpack - MHS900L, see this info. To view device/network-specific info for your Ellipsis Jetpack - MHS900L, see this. To view the Wi-Fi name and passwords for your Ellipsis Jetpack MHS900L, see this info. Here's how to view the phone number assigned to your Ellipsis Jetpack MHS900L. Here's how to change the advanced settings (LAN, etc.) on your Ellipsis Jetpack - MHS900L. To choose a shutdown timeframe your Verizon Ellipsis Jetpack MHS900L, view this info. To test your Ellipsis Jetpack MHS900L firewall settings, view this info. To configure advanced LAN settings for your Ellipsis Jetpack MHS900L, view this info. To block access to services or apps on your Ellipsis Jetpack MHS900L, view this info. To view/change security settings for your Ellipsis Jetpack - MHS900L, see this. Explore how to access settings on your Verizon Jetpack MiFi 900L to change alert sounds, turn off GPS and more. A visual guide for saving battery life on your Verizon Jetpack MiFi 900L by adjusting the screen timeout. Learn how to manage the Wi-Fi password on your Verizon Jetpack MiFi 900L. 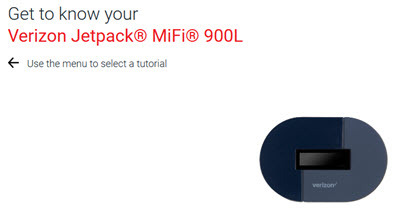 Discover how to sign in to the Jetpack settings website for your Verizon Jetpack MiFi 900L. Find out how to update the OS on your Verizon Jetpack MiFi 900L. Learn how to view the devices currently connected to your Verizon Jetpack MiFi 900L. Discover how to manage data usage on your Verizon Jetpack MiFi 900L. To change the Wi-Fi settings for your Ellipsis Jetpack MHS900L, see this. Here's how to view info for devices connected to your Ellipsis Jetpack - MHS900L. This info is for the Admin password, not the one to connect your device to your Ellipsis Jetpack MHS900L. If your Ellipsis Jetpack - MHS900L powers off, crashes/freezes, view this info. Here's how to check for software updates for your Ellipsis Jetpack MHS900L. To view the software version your Verizon Ellipsis Jetpack MHS900L is running, check out this info. Here's how to insert a SIM card for your Jetpack MHS900L which helps with activation or connectivity issues. Here's how to change your SIM card lock code on your Ellipsis jetpack. View this to lock the SIM card for your Ellipsis Jetpack - MHS900L. If the SIM for your Ellipsis Jetpack - MHS900L is blocked, view this. To view the SIM card number for your Ellipsis Jetpack - MHS900L, see this info. Find out how to insert and remove a nano SIM card from your Verizon Jetpack MiFi 900L. Here's how to view the LED status indicators on your Ellipsis Jetpack - MHS900L. Here's how to view the signal strength indicator on your Ellipsis Jetpack - MHS900L. To delete texts for the Ellipsis Jetpack - MHS900L via the Admin page, see this. To view text messages sent to your Ellipsis Jetpack - MHS900L, see this info. Learn how to connect to your Verizon Jetpack MiFi 900L to access the internet. Discover how to find videos and tutorials to learn more about using your Verizon Jetpack MiFi 900L. Here's how to remove a saved Wi-Fi network from your Windows 10 device. To remove a saved Wi-Fi network from your Windows, view this info. Here's how to change the Wi-Fi password used to connect to your Ellipsis Jetpack MHS900L.